Congratulations to Our 2017 Super Lawyers and Rising Stars! - Keane & Beane P.C. Congratulations to Our 2017 Super Lawyers and Rising Stars! 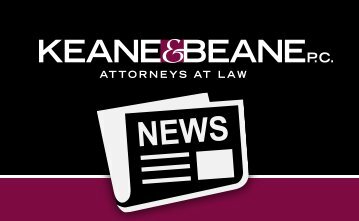 Keane & Beane is proud to announce that four of its attorneys were named as 2017 Super Lawyers and two Rising Stars. Super Lawyers, a Thomson Reuters business, is a rating service of outstanding lawyers in more than 70 practice areas who have attained a high degree of peer recognition and professional achievement. The annual selections are made using a rigorous multi-phased process that includes a statewide survey of lawyers, an independent research evaluation of candidates, and peer reviews by practice area.